One Loudoun celebrated its groundbreaking July 24. One Loudoun Downtown, LLC, a joint venture of Miller and Smith and NORTH AMERICA SEKISUI HOUSE, together with civic and community leaders, and business representatives, today broke ground on Phase One of the new Downtown One Loudoun, a mixed-use development located within One Loudoun, a 358–acre master-planned community in Loudoun. multifamily residences. When complete, Downtown One Loudoun will encompass approximately one million square feet of mixed-use development. 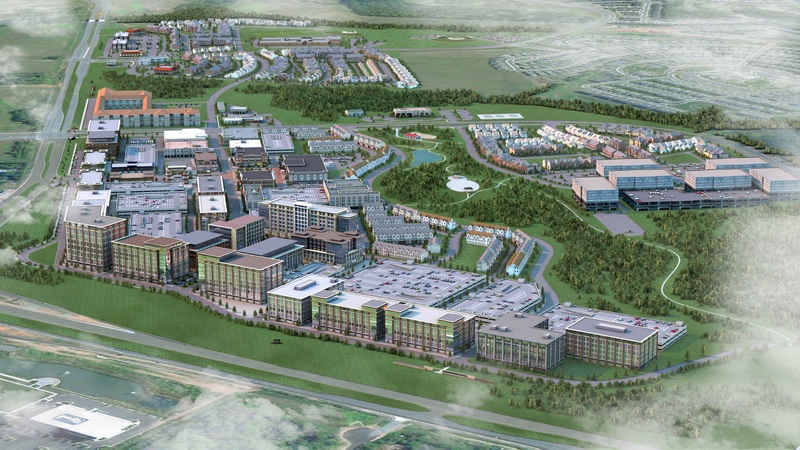 “Downtown One Loudoun will become “the” new economic focal point for commerce in Loudoun County with a dense pedestrian-oriented mix of uses and public amenities. We have designed the downtown area with every detail in mind with superior architecture and advanced urban design principles. We are creating a unique environment that seamlessly integrates quality of life with an outstanding retail and business environment,” said Bill May, Vice President, Miller and Smith. For more information, visit One Loudoun.